PES Institute of Medical Sciences & Research, Kuppam came into existence in 2001 while Medical College was started in the year 2002 with an intake of 150 students with due permission from the Ministry of Health and Family Welfare, Government of India as per the recommendations of the Medical Council of India. The College and the Hospital are situated in a contiguous sprawling campus and has a total built-up area of about 12 lakhs sq. ft comprising of 18 buildings. All necessary state–of-art infrastructural facilities such as fully-equipped laboratories, radiological facilities, air conditioned lecture halls, are available in this 820 bed Teaching Hospital fully established as per MCI norms. The teaching staff consists of many renowned medical professionals from all over India. All the General, Broad and Super Specialties together with a full-fledged Hospital have been established one after another in quick succession under PESIMSR Hospital thus bringing it to the present level of 820 bed hospital and the Medical College offers all UG & PG Medical Courses. • No patient be turned down basic medical care for lack of finances. PES is a not-for-profit society registered under Societies Registration. 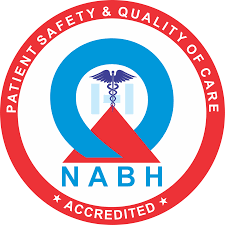 It provides medical care to all patients who come to this institute and trains the medical students and nursing students (both undergraduate and post graduates). All the patients are provided appropriate Medical Care within a specific time frame depending on each case without any discrimination. All doctors shall wear white aprons and nursing staff and technicians shall wear the prescribed uniform robe. The other non medical staff engaged in patient movement shall also wear the prescribed uniform provided to them. It is mandatory under the dress code of the institution that they shall wear their identity card. Emergency operation theatre is maintained on a regular basis to ensure that it is usable all times. Timings: 09.00AM till the last patient is seen. Every outpatient seeking treatment at the hospital is registered prior to the consultation. The success of this charter depends on the support we receive from our uses. Please try to appreciate the various constraints under which the hospital is functioning. On an average more than 5 lakh patients attend the OPD annually and more than 1 lakh patients are attended annually in the casualty and emergency wards. Please do not inconvenience other patients. Please help us in keeping the hospital and its surroundings neat and clean. Please use the facilities of this hospital with care. The Hospital is a “No Smoking Zone” and smoking on the premises is a Punishable Offence. Please refrain from demanding undue favors from the staff and officials as it encourages corruption. Please do not offer any tips and gifts to any of the hospital staff for the service provided. Please provide useful feedback & constructed suggestions. These may be addressed to the Medical Superintendent of the Hospital. PESIMSR Medical College and Hospital is located on the NH42, 5 kms from Kuppam towards palamaner. Kuppam-517425, CHittoor District, Andhra Pradesh. Location guide map is available and Directional Signboards are fixed in each floor. Enquiries counter exist at the Reception Counter. Public Relation officer & Patient Guides help the patient at the OPD entrance.